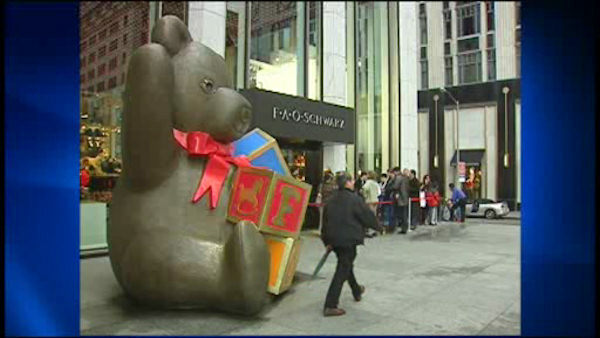 NEW YORK -- It's the end of the line for iconic toy store FAO Schwarz, at least for now. Rising rent is forcing the tourist attraction out of its location on Fifth Avenue after 29 years. Its owner, Toys R Us, says it's looking for a new location in the city and may reopen next year. The company posted a notice on Twitter, saying "see you soon." The original FAO Schwarz opened on east 14th Street in 1880.